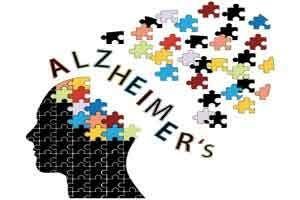 London: A team of researchers from India, Switzerland and Germany has developed a substance that blocks the pathogenic function of an enzyme that drives the course of Alzheimer’s disease. “The specific efficacy of our inhibitor opens up a promising way to treat Alzheimer’s effectively in future, without causing the patients any serious side-effects,” said lead researcher Lawrence Rajendran from University of Zurich in Switzerland. The study that appeared in the journal Cell Reports also included Sabyashachi Mishra from Indian Institute of Technology at Kharagpur, West Bengal. Protein deposits in the brain are hallmarks of Alzheimer’s disease and partly responsible for the chronically progressive necrosis of the brain cells. Nowadays, these plaques can be detected at very early stages, long before the first symptoms of dementia appear. The protein clumps mainly consist of the beta amyloid peptide. For decades, intensive research has been conducted on drugs all over the world to treat Alzheimer’s patients. Although major progress has been made in diagnostics (the disease can be detected increasingly early and accurately), the therapeutic options remain limited. “The current beta secretase inhibitors don’t just block the enzyme function that drives the course of Alzheimer’s, but also physiologically important cell processes,” Rajendran explained. “Therefore, the substances currently being tested in clinical studies may also trigger nasty side effects — and thus fail,” Rajendran noted. “We managed to develop a substance that only inhibits beta secretase in the endosomes where the beta amyloid peptide forms,” Rajendran said. The researchers said their next goal is to hone their drug candidate so that it can initially be tested in mice and ultimately in clinical studies on Alzheimer’s patients.